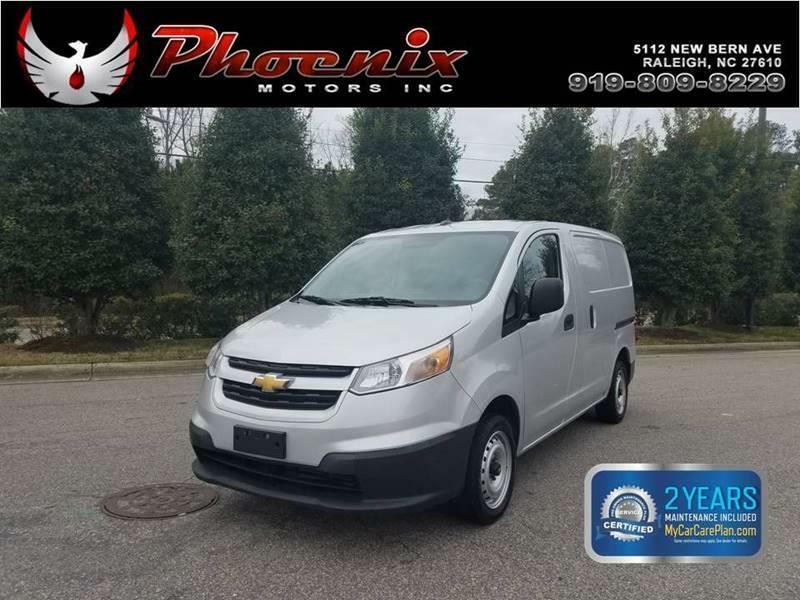 I would like to learn more about this 2015 Chevrolet City Express Cargo LT 4dr Cargo Mini Van. Please contact me as soon as possible! The 2015 Chevrolet City Express is an all-new, compact cargo van that is based on the Nissan NV200. For Chevrolet, its a departure from large utilitarian cargo vans like the Express. Its a small work van for the city, designed to haul medium-size loads and return better fuel economy. Standard equipment on the LS trim includes 15-inch steel wheels, 40/60-split rear cargo doors, sliding rear side doors, power front windows, cloth and vinyl upholstery, a height-adjustable driver seat, a fold-flat passenger seat, a tilt-only steering wheel, air-conditioning and a two-speaker sound system with a CD player and auxiliary audio jack. Cruise control is available as a stand-alone option for the LS. The LT includes all of the above plus power door locks, heated power mirrors, keyless entry, an additional rear 12-volt power outlet and rear parking sensors. For the LT, the Technology package adds a 5.8-inch touchscreen display (a Nissan system, not Chevrolet MyLink), a navigation system, satellite radio, a USB audio jack, Bluetooth phone and audio connectivity and a rearview camera. Standard safety equipment on the Chevrolet City Express includes antilock brakes (front disc/rear drum), traction and stability control, side curtain airbags and front seat side-impact airbags.